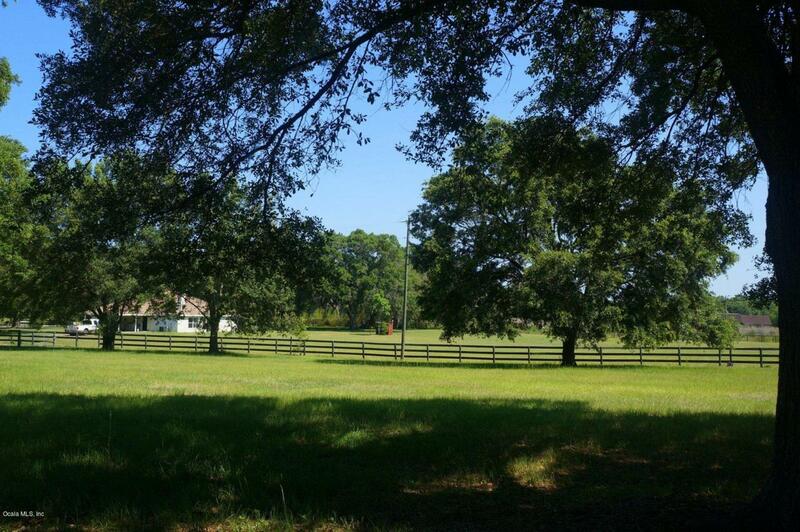 Hunters Dream Farm a 10 acre farm with lush pastures, a riding arena, 4 stall barn, a huge gallop field, turn outs with shade sheds, all new fencing, massive live oak trees that provide a cool breeze and shade. Four bedroom, three bath custom built open and bright home! All impeccably maintained. Close to all horse show venues, convenient to Ocala, Williston and Gainesville. Whether it is your winter home or full time farm, bring your horses and move right in.